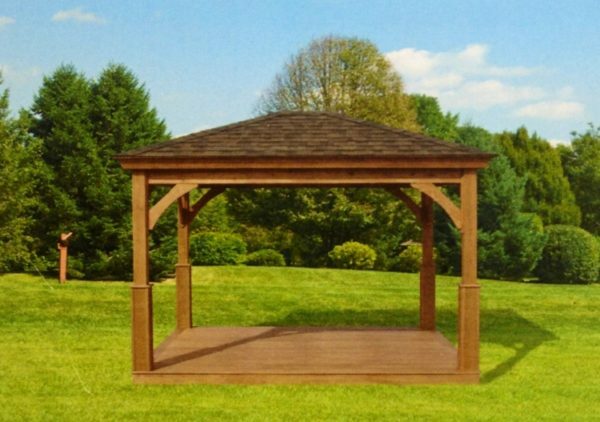 This is a very nice pavillion that offers you 100% shade. 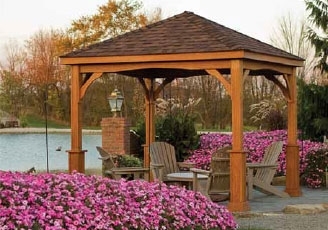 Made from southern kiln dried yellow pine treated 40-yr tested wood. Comes in a vareity of sizes from 8′, 10′ and 12′ to 14′ and any length. It can be wrapped in vinyl to make it maintenance free. 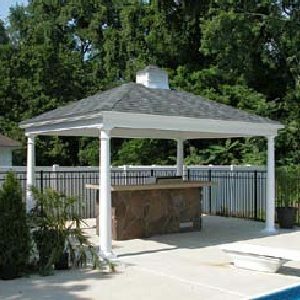 It can be mounted to a concrete slab or paver patio or be shipped with a floor.